Mail order pharmacies are growing in popularity. Telecommuting offers professionals work flexibility, with increased family and leisure time. According to a 2012 study by the Bureau of Labor Statistics, 24 percent of American workers report telecommuting at least part of the work week. The pharmaceutical industry is quickly joining this trend, with prescriptions being processed and distributed remotely. Pharmacists are benefiting from these developments, with increased opportunities to telecommute. Telepharmacy is the provision of pharmacy services remotely. Growing in popularity, telepharmacy has been commonly used in North Dakota for years. According to professionals at North Dakota State University, these pharmacists provide valuable services for patients who live in rural areas of the state. 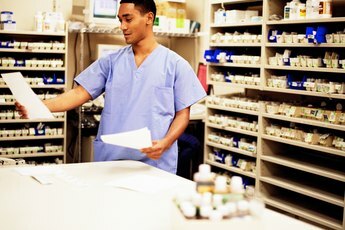 In these positions, licensed pharmacists work from a remote location to supervise the work of an on-site pharmacy technician through the use of teleconferencing equipment and computer programs. The pharmacist is able to communicate with the technician and the patient face-to-face, in real time. NDSU asserts that more than 80,000 citizens have benefited from the service. Inquire with the licensing board in your state about telepharmacy programs in your area. Online educational programs give pharmacists the option of telecommuting while they provide instruction to pharmacy students. 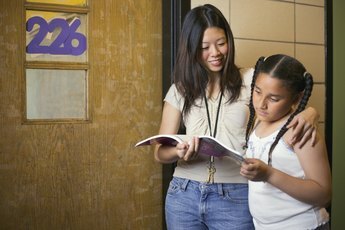 In an online teaching job, you advise students through virtual instruction that students can access through a school database. All work is completed remotely, so you are able to work from any location, as long as you have a computer and Internet access. In this position, you assess the work of pharmacy students and provide grades for them. You also have to make yourself accessible through telephone or email to communicate with your students and school administration. An employment website, like HigherEd, can provide you with online pharmacy instruction opportunities. 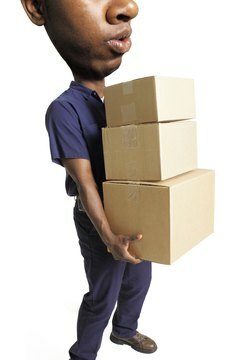 Pharmacists can telecommute as screeners, working for mail order pharmacies. In this position, pharmacists work from any location with an Internet connection. As the prescriptions are received, you review them for accuracy in dosage and frequency. The pharmacist also checks for drug interactions among all of the patient's medications. If a problem is found, you contact the prescribing doctor for clarification. 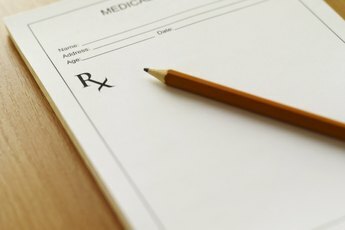 Your responsibilities may include checking for current insurance coverage and determining whether the insurance company will authorize payment for the prescription. Once you conclude the screening, you approve the prescription. Unlike telepharmacy, screening does not involve face-to-face contact with customers. Research and contact mail order pharmacies to find opportunities. Pharmacists are regulated and licensed under individual states. When telecommuting, you must ensure that you are meeting all of the professional requirements for the jurisdiction where the prescription was generated. In some places, pharmacists are not allowed to practice unless they hold a license from that particular state. Noncompliance with these rules can place your license in jeopardy and result in expensive fines. The Texas licensing board has determined that Texas licensed pharmacists, who violate rules in other states, can be sanctioned in Texas as well, resulting in multiple punishments. Protect your license by researching the rules within every state where you plan to fill prescriptions. What Are the Duties of a Tax Preparer? Do CNAs Have to Be Fingerprinted?